Sometimes the best trips are unplanned. On the way back from one of my regular runs to Home Depot, I decided to stop at a wild trout stream near my home. It’s skinny water, seasonal at best, but can hold some wild gems in the spring. I had the 7 ft fiberglass rod that I built laying in the back seat, along with a reel and a small box of dry flies. Can’t get much more basic than that. The first few pools were unproductive, but upon entering a heavily canopied area, I noticed a rising fish. I stood on the bank and watched for two more rises, switching out a BWO spinner for a small brown caddis dry in the process. I moved a few feet closer to the water and crouched behind small boulder. 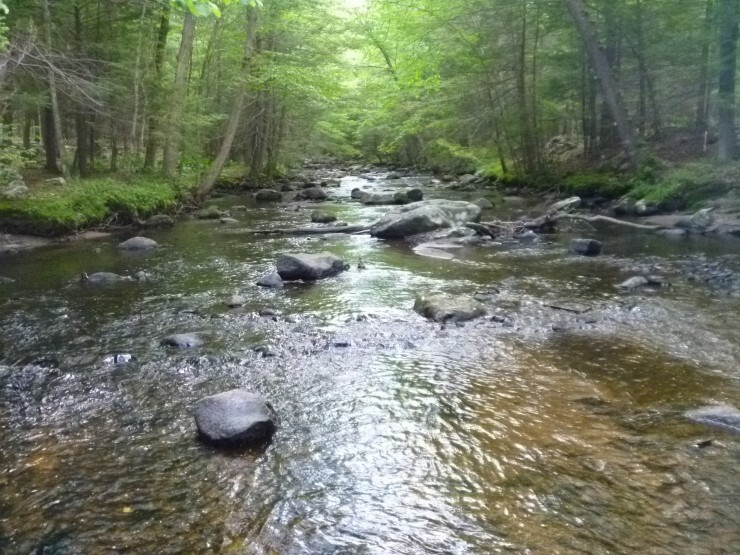 After making a few prospecting casts upstream, I sent the fly downstream, just a few feet ahead of the last rise. 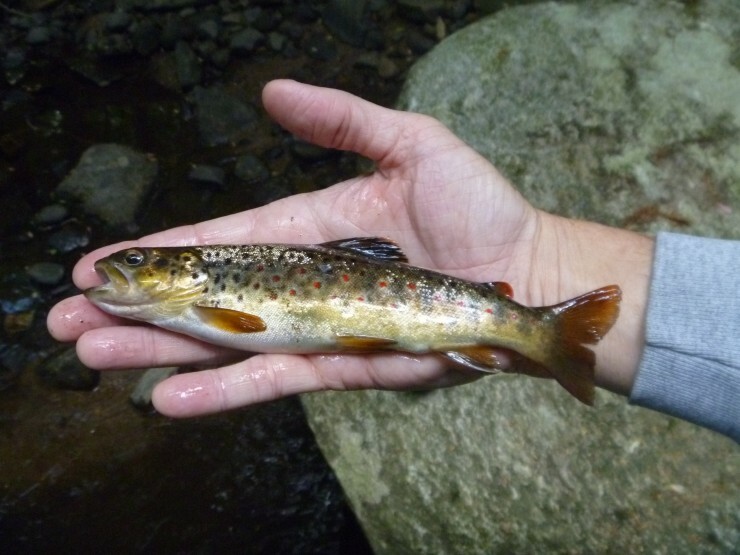 It drifted only momentarily before being taken eagerly by this hand-sized wild brown. Spring in Connecticut brings many things, including mosquitoes. After a few too many bites, I headed back to the car. Hope you’re getting out for some spring fishing. Make sure to bring bug repellent. Enjoy!